Step into any American gas station and you’re bound to run into cooler shelf after cooler shelf lined with fruity beer alternatives, from saccharine-sweet spiked “juices” with calorie counts in the 300s to bomber bottles of neon blue bubbly that tastes like mystery Airheads and antifreeze had a baby and named it Bad Choices. But hey, I get it -- some people can’t drink beer, some people don’t like beer, and unless you want to go in on an entire bottle of wine or pace yourself with the hard stuff, your options are pretty limited. What’s a beer-adverse six pack-seeker to do? Enter LQD, a shiny new lineup of hard green teas and coconut waters that’s out to revolutionize your can crushing game. The Bend, Oregon-based brand, believe it or not, is actually the brainchild of Anheuser-Busch’s High End division, a sector that includes acquired craft outposts like Golden Road, Blue Point, Elysian, 10 Barrel, and Goose Island. But don’t think that just because it’s backed by A-B that it resembles anything close the almighty Lime-a-Rita. 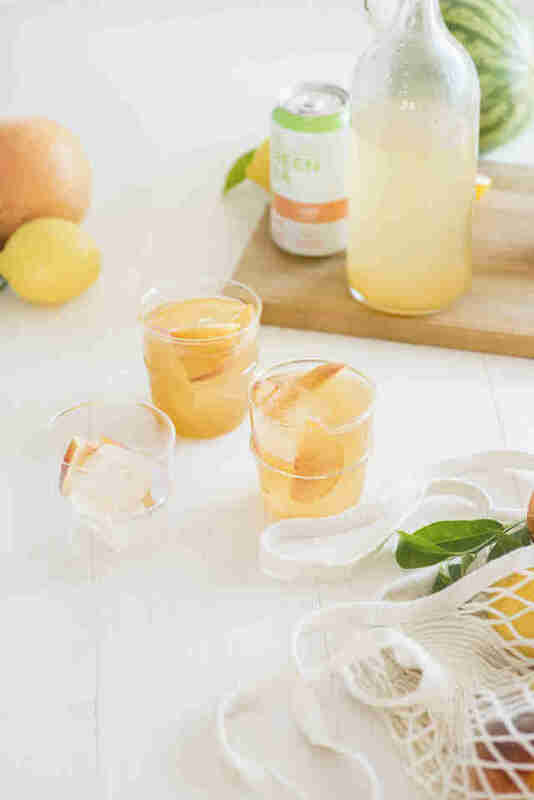 Most beverages in the not-exactly-beer category are a blend of artificial sweeteners, colors and flavoring agents, carbonated water, and a neutral malt-, grain-, or fruit juice-based alcohol. Think wine coolers, alcopops -- you get the idea. It’s basically soda with a splash of stripped-down odorless, flavorless industrially-produced booze. But LQD, which was created by real-deal beer people interested in exploring a world beyond barley, takes a totally different approach. They ferment them naturally just like regular beer or wine, combining real coconut water or decaffeinated green tea with cane sugar, tossing in some yeast and letting the little magic bug convert the sweet stuff into alcohol and CO2. At the end of the day, they’re only using five or six ingredients total and the whole shebang takes about two weeks to turn around. And these guys don’t just leave the bad stuff out, they also throw some good stuff in. 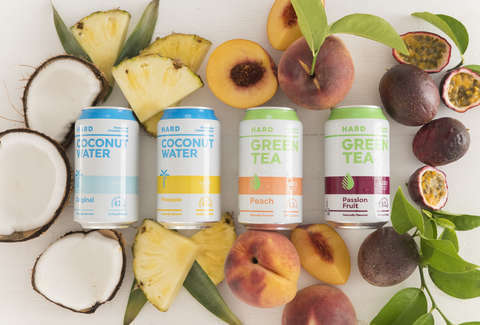 Because they’re naturally processed, the base beverage’s health benefits stay pretty much intact, giving you added benefits like electrolytes, antioxidants, real juices and purees, and a whopping 370 mg of potassium for every 12 ounces of hard coconut water. Potassium! As if you needed another excuse to crack open a cold one. As of now, they’re working with four gluten-free flavors: original hard coconut water, pineapple hard coconut water, peach hard green tea, passion fruit hard green tea. The coconut waters come in at 4.2% ABV and 140 to 150 calories while the teas kick it up to 5.2% ABV and range from 140 to 180 calories. They taste exactly how you think think might. The coconut water is bright, earthy and slightly creamy while the teas are refreshingly tart and juicy with a crisp, rounded sweetness and a dry, herbaceous finish. You can currently pick them up in Portland, Oregon, San Diego, and San Francisco with a bunch of new markets set to join the pack in 2019.